I’m always looking for a simpler way to organize my yarn while I’m knitting, and typically wind up kicking it under my coffee table or sofa. I lust after the gorgeous wooden yarn bowls I see online, but I just don’t feel like shelling out cash for them. Another easy idea is to use a vintage colander that you have around the house. It’s better if it’s metal or of another heavy material, so it doesn’t move around and can hold your yarn. 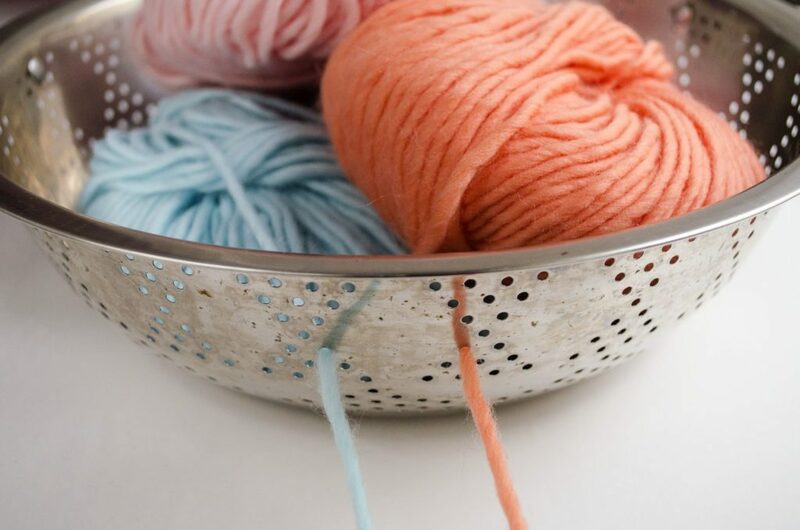 Pass the yarn through the holes on the side of the colander and start knitting. The holes will keep your yarns separate and at the same time you’ll have them all together in the same container. It looks pretty too! If you want more, go check our the post How to organize your yarn for knitting intarsia and jacquard, which appeared first on The Blog – US/UK.